I admit it. There have been many times that I’ve eaten some of my kids’ Halloween treats with the excuse that I was making sure the candy was safe. But my ruse was short-lived. My sons watched their candy like a hawk, so it didn’t take them long to understand that my food safety check was simply a ruse to eat their candy. 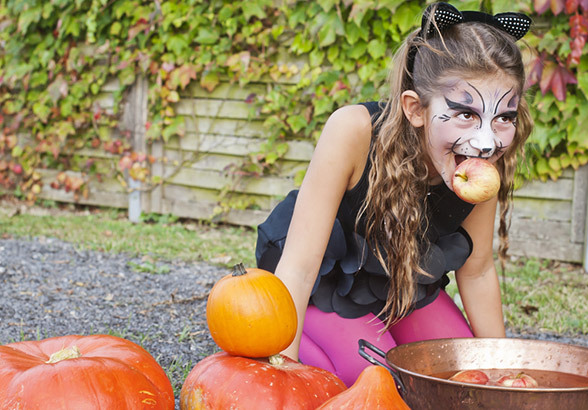 Halloween seems to be the one day per year that children are permitted to eat candy without receiving a lecture about the harmful effects of sugar. There are some parents, though, who no longer allow their children to go trick or treating and I get fewer and fewer trick or treaters every year. But I still purchase bags of miniature Mars Milky Ways and Snickers at the supermarket “just in case” - those candy bars used to be the gold standard of candy bars. While I haven’t been a trick or treater for six decades I still look forward to invitations to senior Halloween costume parties. And few seniors buy their costumes nowadays. Most prefer to make their own just as we made our kids’ costumes rather than buy ready-made ones. 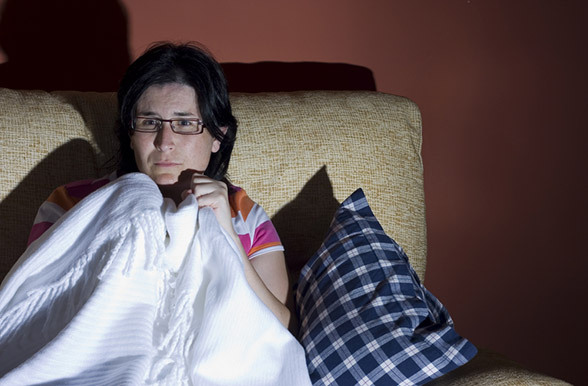 Lots of seniors attend these galas for the same reasons they watch old horror films on Halloween. It’s the nostalgia factor - remembering a time when life was simpler. Halloween meant going door-to-door to show your neighbors your homemade costume and get some candy. There are also other ways that Halloween has changed. When I was a younger I didn’t enjoy when children rang my doorbell. Nowadays, though, I really enjoy talking with children about their costumes while dropping candy bars into their bags. And as it gets later and later, I start doubling and tripling up on the candy I give out so I don’t have too much left to tempt me the next day. Besides, I suspect their parents will help eat their candy. Truth is, there’s no reason for seniors to think that just because their age changed their experience has to also. I see my boyhood self in the children’s eyes when they come to my door, both in the kids who want to stay and talk, as well as in those who want to take candy and run. Most children today are chaperoned by their parents due to safety issues. The worse thing children did when I was a boy was to wax car windows with a candle, and that didn’t actually cause any permanent damage. Halloween parties are gaining popularity among today’s children, and I’m hoping that bobbing for apples will make a comeback. Every senior remembers the feeling of sticking your head into a large tub of water with apples floating in it. The object was to snag an apple using only your teeth, which was particularly difficult for kids whose adult teeth hadn’t come in yet. What a great game - it was messy, lots of fun and required no batteries. The grandparents out there who are fortunate to live near their grandchildren have the opportunity to continue trick or treating. You can walk with them while they trick or treat or even accompany them to Halloween parties. 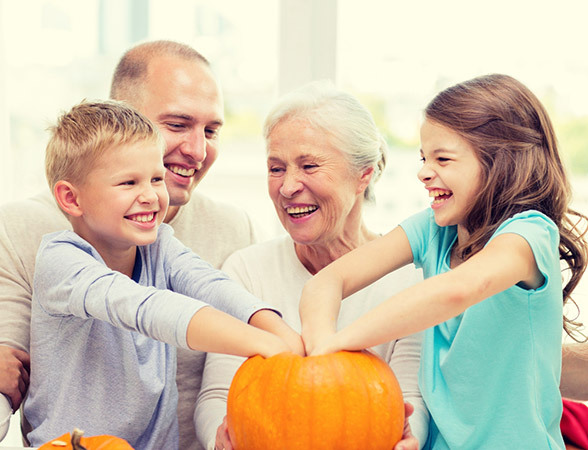 You can share your childhood experiences with your grandchildren and still appreciate the ways in which Halloween celebrations have evolved. Oh, and if your grandchildren are young enough that you can pretend to sort through their Halloween candy for safety reasons before they’re discovered, then go for it. Halloween is an ageless holiday and seniors needn’t ignore it simply because they can’t trick or treat any more. Nostalgia is a sweet feeling that any senior can enjoy on Halloween.